After six years of no album releases by Van Halen, a rushed compilation was assembled with the intention of representing Sammy Hagar’s side of the Van Halen story more clearly. The Best Of Both Worlds does accurately capture much of what made both eras of David Lee Roth and Sammy Hagar, particularly the latter, great. But it does it in a very schizophrenic way. Instead of laying out the track list with one disc for either main lead singer, it puts the eras track by track. This does upset the flow of the album significantly, with there being no real progression. It just seems all over the place. The album does have great songs, but there is no structure to this compilation. The marketing behind Van Halen around this time was very poor. On a more interesting note, there were three new tracks with Sammy Hagar. The first, ‘It’s About Time’ was the best, but very ordinary regardless. The following track, ‘Up For Breakfast’ was humourous, yet a little weaker. And ‘Learning To See’ was horrible. Yet, despite the quality of these tracks musically, they finally show the full on roar of the Peavey Wolfgang, a truly underrated instrument and the great Peavey 5150 amps that Eddie used to create his sound. So, a collector’s item? Only for those who had been hanging out to hear a bit more Van Halen. In short, rather unnecessary otherwise and a sign that Van Halen needed more time to get their act together before recording more new material. Still, worth buying if you really need all Van Halen in your collection. At last, the Peavey Wolfgang was well represented on the three new songs with Sammy Hagar. This entry was posted in Guitar, Music, Rock, Sound, Uncategorized, Van Halen and tagged 2004, Alex Van Halen, Compilation, David Lee Roth, Eddie Van Halen, Michael Anthony, Sammy Hagar, The Best Of Both Worlds, Van Halen on February 1, 2016 by chrisairey01. As previously discussed, the first Van Halen compilation came along with the rotation of singers. Yet, despite this, how does it sound? It was a shame that for this particular compilation only one disc was released. Van Halen had more than enough material to fill up two discs of songs, but regrettably only chose one instead. There are many tracks that could have made it onto another disc which would have been amazing. The two new songs with David Lee Roth were amazing. Still, there is a fairly good selection here of music by Van Halen. It begins with ‘Eruption’, leading all the way to ‘Panama’ (or ‘Hot For Teacher’ if you had the Japanese copy of this album) for the first David Lee Roth era. Once that is over, very much the hit singles from the Sammy Hagar era are here. And yes, many fans were aware of these songs yet for a one disc compilation it strikingly sounds well chosen. Then we have the new tracks. ‘Humans Being’ is very much of one the worst “Van Hagar” tracks you will hear. It is a dirge like song, only redeemed by the loud, prolonged scream at the end of the song. A poor effort indeed. It is really hard to know what Van Halen and Eddie Van Halen himself were really thinking around this time. Then we get two brand new David Lee Roth songs, ‘Can’t Get This Stuff No More’ is very cool indeed. “Got a date with a supermodel, I know I can make it…” begins Dave on the first new song. It sounds wonderful and fresh, something that Balance seems to lack. Not bad. More catchy though is ‘Me Wise Magic’. A full on, rhythmic tune with style, it is an underrated gem out of the Van Halen cannon. 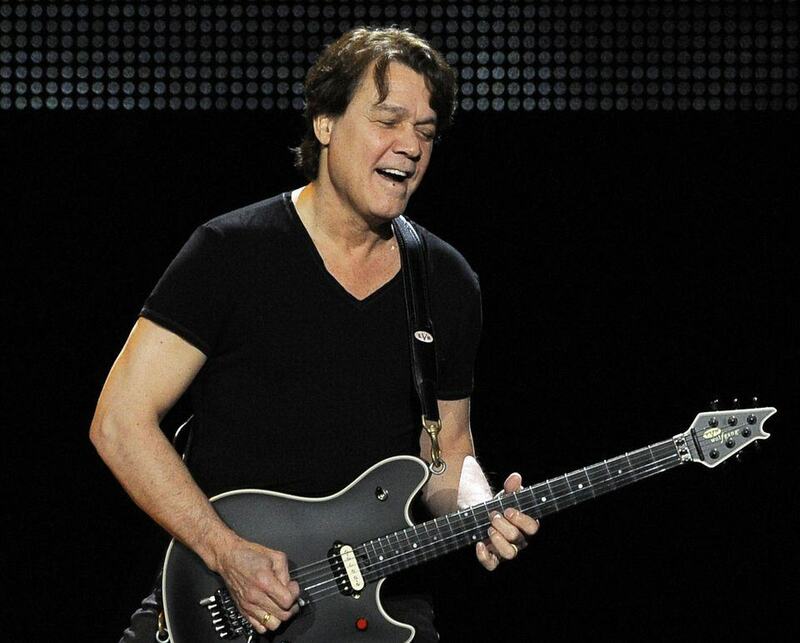 Eddie Van Halen uses some cool licks on his new Peavey Wolfgang here, and it does justice indeed. Eddie Van Halen really does show his Brown Sound progression on this particular album. The good thing about this compilation, regardless of it needing to be more inclusive, is that we can clearly hear for the first time Eddie Van Halen’s Brown Sound transition throughout the years. From the first Frankenstrat on ‘Eruption’ to his Peavey gear on ‘Me Wise Magic’, somehow upon listening one gets the feeling that this is exactly what Eddie desired to show listeners. He seemed very content with showing the difference in sound and tone over the years. The bad thing about this compilation though is that it does fall short of a truly amazing listen by being too selective of some songs and also needs more of them. After the fade out of the last track, you may sit there and feel left out of what could have been much more. There could have and should have been another disc of Van Halen material. Yet, despite this, this album is absolutely essential to understanding the Brown Sound progression over the years. It is the better of the two compilations though, and is a must for those who wish to understand the Brown Sound in a logical progression. A photo of Eddie’s Peavey Wolfgang is in the booklet. Unfortunately, nobody saw the future at the time, which is exactly what this compilation was for. This entry was posted in Guitar, Music, Rock, Sound, Technology, Uncategorized, Van Halen and tagged 1996, Album, Brown Sound, Compilation, David Lee Roth, Eddie Van Halen, Electric Guitar, Peavey, Sammy Hagar on December 23, 2015 by chrisairey01. 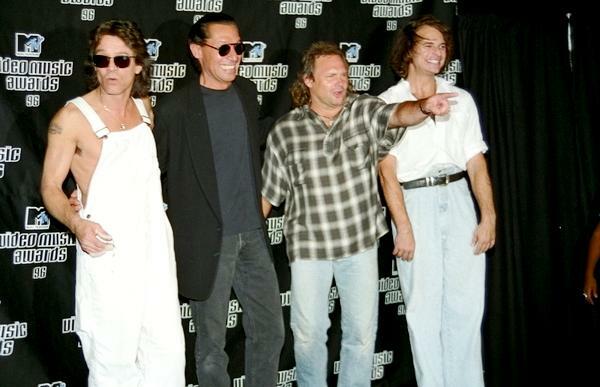 It was not a good or easy time for Van Halen in 1996. The pressure within was definitely consuming the once powerful and cohesive group. 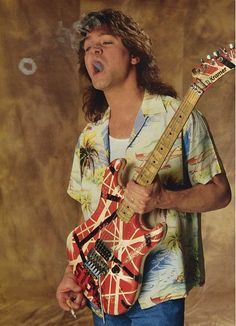 Although Eddie himself was busy promoting his brand new line up of Peavey Wolfgang guitars to show that he still had the genius and ability to craft wonderful instruments, the truth was that Eddie Van Halen was in an alcohol (and some say drug) induced decline. All parties involved with Van Halen were running to the media to explain the problems within Van Halen. Unfortunately, Eddie Van Halen was no exception to this. 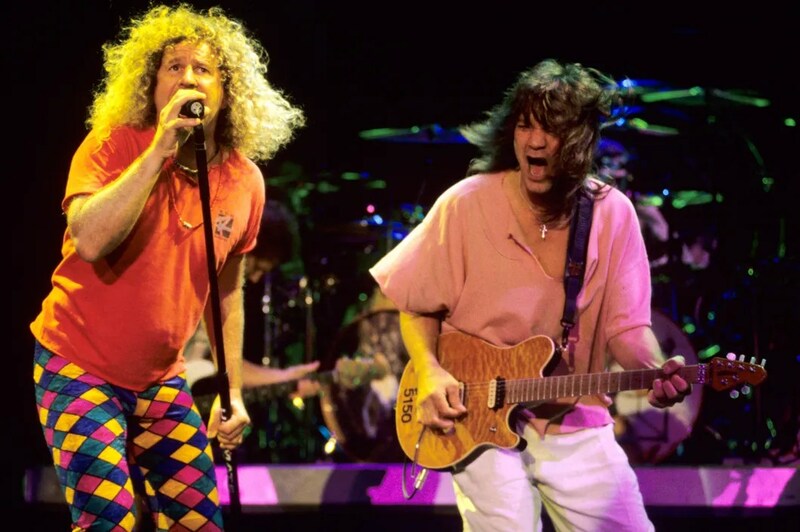 The fact was that Ed and Sammy Hagar did not see eye-to-eye on what Van Halen represented. 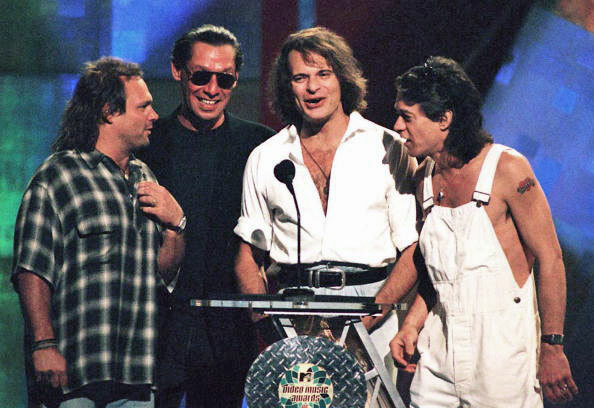 Different stories have emerged from both parties on what really happened around this time, yet one thing that was certain was that in 1996 Sammy Hagar and Eddie Van Halen had a large fallout after Van Halen indicated that they were seeking to get David Lee Roth back into Van Halen to record some new songs for their first greatest hits album Van Halen: The Best of Volume One. Although this website is about Eddie Van Halen, it is important to cover these issues as well. 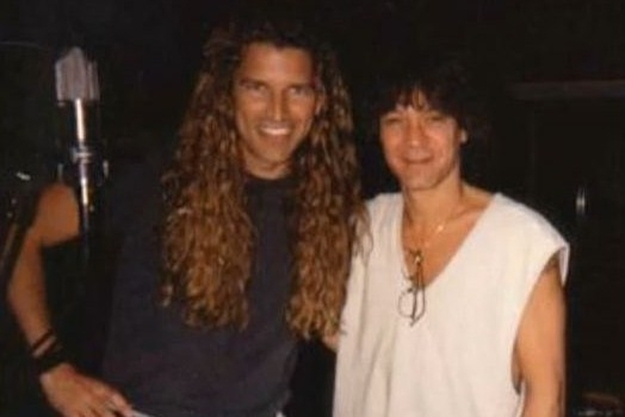 Once Sammy Hagar was no longer a part of Van Halen, in an odd stroke of fate, Eddie Van Halen attempted to recruit Mitch Malloy into the band. This was kept top secret at the time and no real leak of what happened did not occur until many years later when Mitch Malloy confirmed that until the MTV Music Awards in that year happened, he was given the green light to be their third singer. He revoked the offer after seeing David Lee Roth with Van Halen on that night. Mitch Malloy was keen on joining Van Halen around this time until bad things got their way. Perhaps Eddie Van Halen himself was foreseeing a return to David Lee Roth era Van Halen? Who knows, but what was clear is that they did indeed record two songs for their first compilation with David Lee Roth, ‘Can’t Get This Stuff No More’ and ‘Me Wise Magic’, and both are the most underrated Van Halen songs you will listen to. Still, it was not enough to keep the band going together after the infamous MTV Music Award 1996 Ceremony. 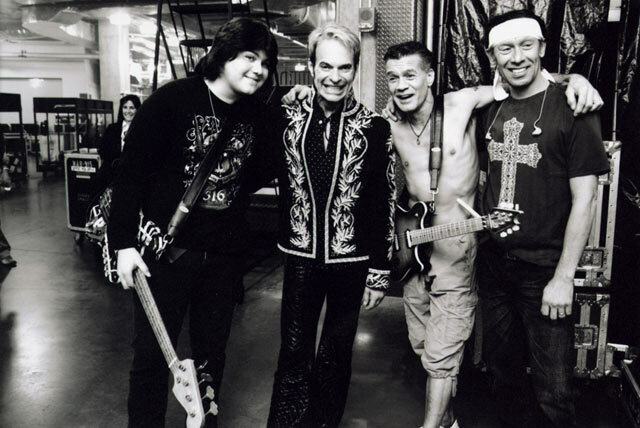 Although stories do differ, what is clear is that David Lee Roth and Eddie Van Halen did not see eye-to-eye on the fact that Roth wished to be returned as lead singer of Van Halen, but Eddie wanted a more methodical approach. Of course, regardless of any bad blood on either side, the pair fell out and prompted a rethink of a new singer for Van Halen. After the MTV Music Award night, Van Halen were never the same again. The fact that the entire band were now relying upon the media to express their disgust at what had happened with Van Halen revealed a lack of confidence in any musical project whatsoever involved with them. The band eventually returned to their rehearsals for a new singer. They selected Extreme frontman Gary Cherone, who had not really worked along with Van Halen before and was a new addition to the Van Halen group. 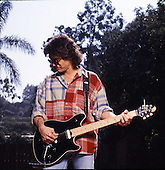 By all accounts, Gary was very easy going with the group and although the following record proved he may not have been David Lee Roth or Sammy Hagar, he did fit the bill at the time indeed. Gary Cherone only lasted in Van Halen for three years and sung on the disastrous Van Halen III album, but he seems much more respectful towards Van Halen and what they represent than what Sammy Hagar shows nowadays, strangely. Although he is not suited to Van Halen’s style of music per se, it was what the band needed at the time. Gary Cherone really did do his best to hold things together in Van Halen. This entry was posted in Guitar, Music, Rock, Uncategorized, Van Halen and tagged 1996, David Lee Roth, Eddie Van Halen, Gary Cherone, MTV, Sammy Hagar, Singer on December 16, 2015 by chrisairey01. Understandably, prior to this entry this website has not covered the Sammy Hagar era Van Halen. The author has left out his name on certain issues as to keep the two singers’ music and representation separate. 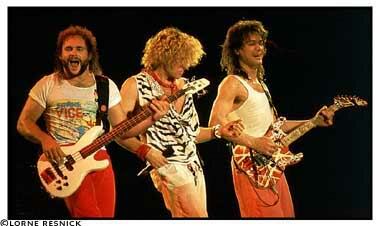 To begin with, there were always issues in Van Halen from the start between the main members of the band. The original line-up with bassist Mike Stone did not work as he was not seen as talented as Michael Anthony. 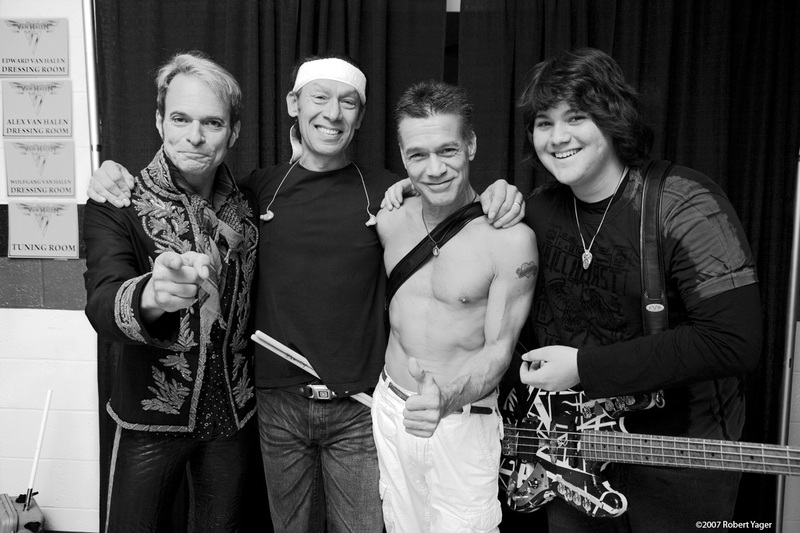 The band opted David Lee Roth to join Van Halen as their lead singer, as Eddie Van Halen was not comfortable with it at the time. Although DLR and EVH get along much better these days, relations are still not the best between the two. However, this is not always a problem for a band still recording and touring to this day. This line-up persisted for just over a decade. There has been much publicized banter on the internet, music magazines and other places about the change of singer from David Lee Roth to Sammy Hagar. So, why Sammy Hagar? Well for a start, the first main line-up of the band did not get along very well from the release of the 1984 album onwards. Various private meetings were held to try and hold Van Halen together after the release of that particular album. It soon became clear that David Lee Roth did not like the sound and direction of Van Halen’s music around this time. Eddie wanted to branch out more, whilst David Lee Roth thought it would be ridiculous for a rock band to even consider placing synthesisers or other production techniques into their music. This, by far, was the biggest reason for the initial split. Ed even considered leaving Van Halen at one point around 1983. Stylistically, the band wanted more, and David Lee Roth wanted a more back-to-basics approach. 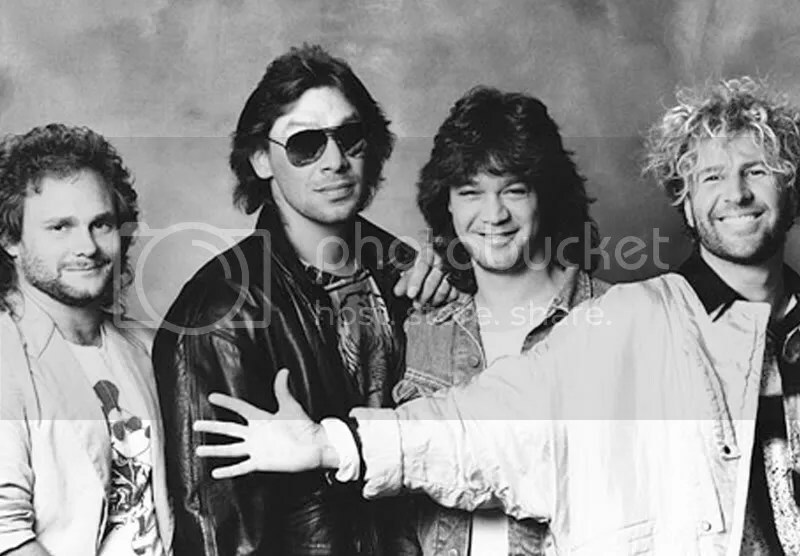 Sammy Hagar’s entry into Van Halen in 1985 represented a more melodic and poppy approach. Sales of their albums were strong throughout this time. The second reason was the idea that David Lee Roth could not and should not be allowed to create his own music. Indeed, David Lee Roth suggested in an early 1985 interview that he was sick of being tied to the Van Halen project and just wanted to get on with it instead. Comments like these did not go down well in the Van Halen camp. On April 1, 1985, Roth mentioned in a statement that he had left Van Halen. This was initially met with some scepticism, as it was on April fool’s Day. 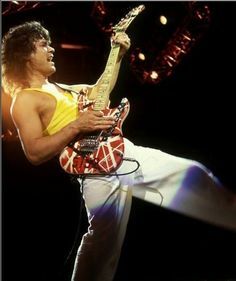 However, later that year in the mid-August issue of Rolling Stone, Eddie Van Halen told the world that the first lineup of Van Halen were over, and that the band were seeking a replacement singer. 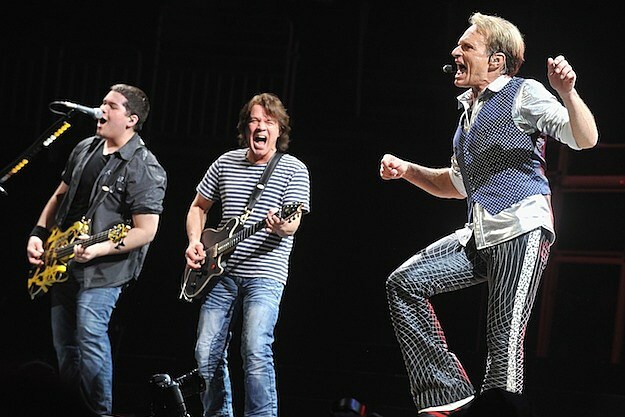 It looked like Van Halen were over for good this time. Eddie did his best to hold things together, and managed to do so. Auditions for singers were begun, and after some time, a decent singer, yet very different to what David Lee Roth had to offer stylistically was presented to Eddie by his car mechanic: Sammy Hagar. This cover of a late 1985 Rolling Stone Magazine suggests than the then new lineup of Van Halen was quite happy to make music without David Lee Roth. Sammy Hagar was not unfamiliar with Van Halen. In fact, they had toured together (although neither met each other personally until 1985) in the late 1970s. Sammy Hagar was originally famous for having a stellar solo career after inspiring, yes, Van Halen to follow a similar sound to what he was pursuing at the time. Sammy Hagar was lead singer in the group Montrose and released a string of successful solo albums prior to entering Van Halen. So, it seemed like an ideal fit for the band after years of David Lee Roth’s excessive macho behaviour…or so the band thought. Montrose is a killer album that introduced Sammy Hagar into the world of music. Regardless of what the band now thinks of this change, fans were rewarded with a newer, more poppy style of Van Halen. Some older fans do prefer Sammy Hagar over David Lee Roth. Indeed, listening back to the Sammy Hagar era Van Halen: 5150; OU812; For Unlawful Carnal Knowledge and Balance (along with the live albums recorded as well), one is reminded that this self-conscious change refocused the band’s music in a somewhat different direction. Some DLR fans were not impressed with this new music, naming it “screechy”. But the point was, it was not simply a change of singer, but also a change in style. What about David Lee Roth? Well he embarked on a moderately successful career beginning with the 1985 EP Crazy From The Heat until he properly rejoined Van Halen in 2007. But on David Lee Roth’s second long term stay, the band were very different in terms of maturity and musical direction that they wished to experience. But “Diamond Dave” in 1985 had enough, and left Van Halen and did not re-join until 1996. But still when it comes to music, although personnel can change, the music can still be wonderful and uplifting to the listener, no matter who is the lead singer. David Lee Roth’s solo career did not reach the heights of Van Halen, but was successful nonetheless. This entry was posted in Music, Rock, Sound, Van Halen and tagged Alex Van Halen, David Lee Roth, Eddie Van Halen, Michael Anthony, Sammy Hagar, Solo career, Sound, Van Halen on August 20, 2015 by chrisairey01.